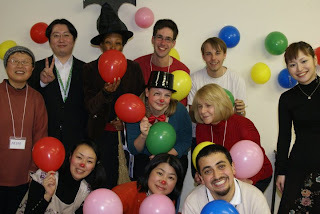 We had a party which was a German traditional party on last Friday. Our teacher Sandra made German pancakes that put in slice of apples and cinnamon. It was so delicious and we painted on their face. Some people wore clown and witch’s costumes. Everyone seemed to enjoy the party.